One of the ideas that still seems to be common around the Internet these days is that agents who blog are somehow less serious, less committed to their jobs, or are too busy spending time on the Internet that they should otherwise be spending on their clients. But for this first post of 2011, during a time when Facebook is fast becoming the biggest site on the entire Internet, venture capitalists are pouring money into social media startups, and every company on Earth is trying to figure out how to harness the power of social media, it’s just a tad strange to me that people are still denigrating the agents who are trying to use blogs, Facebook, and Twitter to further their own careers and their clients’ careers. It sure seems like we’re witnessing a revolution in the way in which we connect with each other, including the way we hear about and discover books, and it behooves agents to stay abreast of those changes. Now, to be sure, situations vary, and I’m not saying that all blogging/Tweeting agents are wholly created equal or that all uses of social media are uniformly positive. But social media is a powerful tool, and there are quite a few agents out there using it as a force for good. Myth: Only small-time agents blog. Among the many agents who blog include Jane Dystel, blogging at the Dystel and Goderich blog. Among her clients are…… one President Obama. How about Betsy Lerner, agent for National Book Award winner Patti Smith? How about Kristin Nelson? Her numbers for 2010 weren’t too shabby. On Twitter you have Curtis Brown UK agent/managing director Jonnny Geller. There are blogging agents across the career spectrum, from the just-starting-out to the extremely well-established. Trying to paint all blogging agents with one brushstroke is going to inherently be inaccurate. There are agents of all stripes utilizing social media. There is enough time in the day. One of the inevitabilities of being an agent using social media is that your clients follow you and know rather precisely how much time you’re spending online. And if an agent were really spending too much time online instead of attending to their needs: their clients would know it. And they wouldn’t be happy. In fact, the agents I know personally who utilize social media tend to be among the most passionate and ambitious about their work. These are the people who are working more than full time jobs and still trying to help out the unpublished and promote their clients’ work on top of that. They’re passionate enough to be blogging and Tweeting in addition to their jobs, not instead of their jobs. But while there may well be agents out there who overdo it, social media needn’t consume one’s life and doesn’t have to take up too much time. While I was an agent I was spending about half an hour writing each post on this blog and another half hour or so reading comments. One hour a day. That’s a TV show. Or my daily time on the bus (during which I usually read comments). And even on top of that I would store up posts on the weekends in case things were crazy during the week. There really is enough time in the day. This is the one that I’ve been occasionally roped into for whatever reason. The truth is that a lot of people have left publishing in the last few years for a variety of reasons, just as a lot of people have decided to pursue a career in publishing in the last few years for a variety of reasons. Turnover is inevitable in any industry, particularly one in a period of transition. And I don’t think there’s any evidence to suggest that blogging agents are more likely to leave publishing than non-blogging agents. I certainly always always knew that being an agent came before blogging, and I took my job extremely seriously. My bosses, clients, and colleagues were reading my blog. If I wasn’t getting my job done because I was blogging, they all would have known it. Every agent plays to their own personal strengths. Some agents are fabulously well-connected, with ties to elite social circles and are able to hobnob with all the right people. Some agents are gossip hounds, knowing everything about everyone and making it their business to have all the best and latest information. Some agents are mega-readers, and have read every writer on the planet and scour the small presses and lit journals for talent. Some agents have ties to MFA programs and use those connections to find up-and-comers. Some agents are good at social media, and use that to their advantage to find new clients and cast a wide net. There is no one right or wrong way to be an agent, and in any competitive industry it pays to utilize your own strengths. Everyone has to find the strategy that works for them, and saying that this or that strategy is unserious or doesn’t work is foolhardy. But really all you need to know about agents and social media is this: it works. Authors are able to get a preview of an agent’s style and see if they’d like to work with them, agents using social media are casting a wider net and finding the authors they want to represent, and authors using social media are more educated about the business, better connected, and better able to make good decisions about their career. Facility in social media is a new competitive advantage, and the ones who are good at it are reaping the benefits. I've also heard the opposite myth: That agents who don't blog, or put themselves out on social networking sites, aren't as serious about promoting their clients or taking on new ones. It's strange the kind of things people will come up with! This makes total sense to me. You could write a similar post, "In Defense of Blogging Writers." It may seem silly to some that I spend time writing a blog while also trying to finish my book, but it's all part of the big picture! 50% of the books I read in 2010 were suggested to me by agents through their blogs or Twitter feeds. I did not read them because the agent said to. I respect those agents, looked at the books they recommended, and thought they sounded interesting enough to give them a try. I am absolutely certain, however, that if they had never recommended them, I never would have looked at them in the first place. I like how you said that if you were spending too much time on the 'Net, your clients would know. Just as there's no one way to be a writer, but those that can navigate the social media reap the benefits of that. My 70 year old mother was berating her friends over Christmas because they weren't on facebook. She couldn't understand why they wouldn't want to stay connected to their kids and grandkids. The world, she is a changin'. I started wondering whether the time it takes between "Hmm…I think I'll write a novel" and publication has decreased since the internet started because there are so many more resources available and much better access to experts like agents. As a writer who hasn't started querying yet, I particularly love agents who tweet and blog because it gives me a chance to get to know them before deciding whether to query them. There are some agents I can tell I'd click with, and there are others I find interesting but wouldn't want to represent me. Hopefully that means whatever agent I end up partnering with will be a great match. Sort of like dating or living together before you get married instead of an arranged marriage based on other people's opinions about how well you'd fit together. Sorry, should've probably written that as a blog post instead of a comment. I'll sum up by thanking the agents who take the time to network. I had no idea this sentiment existed, but I completely agree (with you, not the sentiment). In fact I'm more concerned about agents who don't blog, or at least tweet. Nothing like painting with a broad brush to get the details right. First, people who complain about agents blogging, twittering, visiting sites, etc, are making the assumption that doing any of those things is to the detriment of their agent responsibilities. Do they want to complain that eating lunch makes them less serious about their job, or running to the bathroom? Coffee breaks take longer than posting a notice to Twitter, and time spent on social media can be just as effectively budgeted as those "acceptable" breaks. Agent blogs are an excellent resource, not only for the obvious things like learning how to query properly and finding out what's standard procedure (so as to avoid the scammers out there), but it also helps writers know if a particular agent matches their personality. If you can't get along with someone on a blog, then you probably can't work with them. I definitely prefer it when agents blog and I can get a feel for them as a person, and the way they interact online. Plus, blogging agents tend to promote their clients books through the site, helping the client and giving me an idea of books to read to get a better feel for their list. Very thoughtful post. As a writer, I have personally found agents blogs to be extremely useful both for the advice given and to learn about their clients. I agree that I wouldn't have heard about some of the authors I read if I hadn't heard about them from an agent. Fantastic post. I totally agree. I think blogging and tweeting agents have put a big smiling face to the industry. This is comforting to me, as an aspiring author. I've learned a tremendous amount. Consider this RT'd! This is the one that I've been occasionally roped into for whatever reason." That made me laugh. Plus, clients do the whole blogging/tweeting/facebooking thing. Does that mean THEY aren't spending enough time working? Most celebrities do all the social media stuff- yet we STILL see them all over the news/magazines/every shop windows. Face it Nathan- people are out to get agents because they presume all agents press reject to every query they are ever sent whilst cackling hideously. It's a pretty dangerous world out there for those poor souls; it's not a suprise some really good agents are leaving the field (ahm). Oh, well, there are still people who think that real writers use typewriters, not these new-fangled computer gadgets. A century ago, real writers wrote by hand, not with those new-fangled typewriter gadgets. Dip pens, preferably quills, not those new-fangled fountain pen gadgets. I definitely like it when an agent blogs–you can get a feel for the agent as a person, not just a cog in the publishing machine. I've found most blogging agents are putting very useful information out there that demystifies the whole publishing gig. That's a good thing, despite the naysayers. I guess it doesn't matter if an agent blogs, but if an agent's number one job is to make his/her client money, how does blogging accomplish that? I don't want my doctor, dry cleaner, or the pilot of any airplane I'm on blogging. Those people are in charge of my health and well-being and need to focus 100% on their work. Anyone else, blog away. Agent blogs are highly useful to writers who want to find out more about how to focus their work in the right place. So agents are smart to do that. I think writers grasp at the idea that agents are wasting time, though, because of the discouraging number of times we send our work into thin air, without any acknowledgment of receipt or response from reputable agents, sometimes even when more material has been requested. It is misplaced blame, but it stems from real frustration. No defense needed in my opinion. Surely, my thoughts on the subject are coming from an unagented writer who appreciates the blogging agents, but I still think you don't need to defend your position here. To each their own. Eff the unagented who can't take a joke. I've been following your blog since last year and found it extremely helpful in more way than one. Before the blogging world, querying existed solely in a vacuum. I know because I tried querying in the late 90's. I would pack up my children's book, with a make-shift query and wait 6 months for a response, from what? A nice agent, a bully? There was no way of knowing outside of The Writer's Market and The Guide to Literary Agent's. Those were books, people, not web addresses. I gave up after just a few queries. Blogging Land and blogging agents helps me understand what the industry is looking for, and what the queries should read like. I don't comment all the time, but I follow. You're doing just fine in my opinion. Happy New Year! I actually appreciate it when agents blog. I don't ever consider that they are ignoring work, but rather I like that they are spending the time to give me, a writer up and coming, some inside sentaments to their world. The only comments that sort of bug me are when people complain that writers don't stay consistant writing blog posts. How do you feel about this, Nathan? Is it mandatory that a writer be consistant in blog posts when they are striving to work hard on their WIP? I hope it isn't detrimental to my platform, say if I only post once or twice a month sometimes. ??? Everything I know about the publishing business I learned on NB. I stumbled in here a month and a half ago because I had one question: How do I approach an agent? At the time I thought a query was just a probing question. Well here I am – a grouchy old schooler who still uses pencil and paper and wants progress to take a break for a couple of decades but the business side of my brain is whistling a different tune. As a writer with decisions to make, I HAVE to learn to interact with and use social media. It seems to me that "finding" an agent has a lot in common with the interview process, and agents who use social media help me decide whether the process should procede to the query stage. Social Media! Good stuff! I mean, I wouldn't know you if it weren't for the blog, and then who would I tell all my Sacramento Kings jokes to? Plenty of people blog and use Twitter in addition to holding a day job. Why should agents be any different? I'm not less likely to use a lawyer or doctor or hairdresser or caterer because they blog in their free time. And, besides, I think it's great that some agents use their free time to help out unpubbed writers and promote their writers. Blogging and tweeting have removed the mysticism surrounding literary agents. Humanised the process. All agents should step into the light: blog and tweet away. I find it absurd that anyone would decide they know how others should spend their day. Obviously, writers should never blog or tweet because if we were serious we would be writing. Um…yeah. Impressive post, Nathan. Well spoken and argued. I completely agree that social networking is not only appropriate, but recommended for agents who have that talent. Your post highlighted two points for me. The first is that networking of any kind is an agent's bread and butter. Social networking allows an agent to network with thousands. The second is being able to promote your clients, as you said, which includes free advertising space on the blog, is one of the few ways an agent can directly promote the books they represent. There are some mistakes that blogging agents can make – query bashing for example – but as social networking becomes customary, the 'best' way to blog will most likely become standardized. Great post, and this is an aside, but I also like the way that you organized the post into 'myths'. That's a really good way to make multiple points while keeping your readers engaged – I'm going to remember that. I think it's a good thing that there is more than one way to skin a cat. Actually, I like cats. The news today that Goldman Sachs pumped $500 million into Facebook doesn't exactly hurt your case. What?! I'm surprised and bummed to hear that people actually buy into/propagate these myths. One word: haters! And there's only one thing to say to haters, "Sweet, and my answer is to get out of my car (or off my blog)." As a newbie to this industry who knew zip about zilch, I've found this blog to be INVALUABLE in terms learning and understanding the publishing/writing/agenting processes. This blog (and others like it) also suggested authors/agents who books/blogs I would've never known about otherwise. Can we put a precise value on creating these connections and (in some cases) boosting sales? Maybe not an exact one, but that doesn't mean it's not there. Amen! I love a blogging agent. Blogging agents lay it all out on the line. They are essentially not a blind date (which I've never had in real life, but wish I did), you know what I mean. On a blind date, you don't know if you are bringing a vegan to the York Steak House! Same in publishing! Just tell me and I'll obey your rules. I'm a rule follower. Just can't help it. It's the not knowing that gets me in trouble. On that note… I adore Twitter for writing tips. So fun. I've read all the above accusations and it's easy to fall into grouping everyone together- agents who blog, agents who don't, agents who leave the business who also blog, agents who leave the business who don't…:) But you're right in that it really is a case by case basis. Blogging has equal power to help or hurt a career in publishing, no matter which side of the fence you're on and you have the right to defend yourself and set the record straight in your case. You bloggers are a bunch of johnnie-come-latelies who are pushing out tried and true methods as old and reliable as conversating in person. Blogging is just a highfalutin new term for soapboxing eyes instead of ears. Web dialogue that's really one-sided pontificating. A blog is a platform for self-serving self-promotion at the expense of the real work of meeting and greeting genuine movers and shakers over cocktails and golf courses and cigars in smoky skyscraper back rooms. Blogging avoids critical review by coworker peers and favors mass culture appeals weighted with emotionally irrelevant tripe. Blogging runs right past the personal touch of a handshake. You can't tell a polecat from a lilac shat in a ziplock bag from a lumberjack boondocker when all there is is words to go by. Without professional rivalry condemning blogging there'd be no personal touch of opposition to push and pull passionate clashing progression, nothing to talk about with a gaggle of yessayers, no easy platform from which to launch a personality cult, no alternative but to get into the hard and challenging real work of social networking as social engineering for justificating the ongoing depersonalization of interpersonal relations by making 'em more personal like but never quite able to fully substitute for in-person interaction. How is it possible that blogging (tweeting, whatevering) agents need to be defended?? Especially when I was querying it was really great to be able to look at an agent and try to see who would be a good match. Definitely not complaining about them taking time to help me out. As far as how it reflects on them? I'm still holding the opinion that it's a smart business practice. I think it's great that agents do blog, so that we can get a peek at their personalities and their particular likes/dislikes. As you said Nathan, it helps us refine our search for the most suitable agent. Agents that are willing to share writing information with their readers are a boon to those of us who look for knowledge. I don't use all social media today, I believe in selecting what fits for me at the time. I keep my options flexible, and my mind open. Thanks to you, Nathan for keeping on with the blogging. It's still a valuable and enjoyable blog from this reader's point of view. 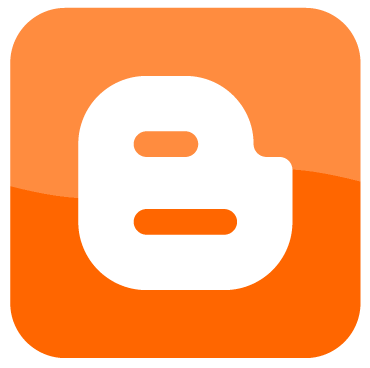 Blogging is definitely a beneficial activity for literary agents. I have always been a little skeptical of literary agents, who also harbor writing ambitions, but I'm sure there are a few individuals, who can prove me wrong on that account. It's hard to argue how less contact with the masses (of writers) makes one a better agent. I would have no contact at all with agents without modern social media. I believe that agents' blogs and tweets make me a better querier, if not a better writer. Oh, you silly former agent. Worry not of soured milk when there is eggnog in your glass. Huh. I would think that blogging would help an agent do at least part of their job better. By reading an agent's blog, prospective clients can determine what the agent is looking for and what to put in the query letter. They can also make a preliminary determination on whether they would be a good fit with that agent. When the agent is going through those one hundred query emails a day, it should be pretty obvious who has done their research on agents and who has not. I would think that would help winnow out a bunch of queries. Back in the dark ages when dirt was young and dinosaurs roamed the earth, I looked through Writer's Digest Guide to publishers and literary agents. I still think it's useful and combined with an agent's blog creates a greater chance of finding the perfect fit between agent and writer. You know, some people just like to whine. It doesn't matter what an agent does or does not do, they'll still whine about it. When George R. R. Martin blogged about going to a football game, a portion of his fans gnashed and wailed that he was doing that instead of writing. There are no writing machines; just people. Likewise, there are no query-answering machines; just people. It makes no sense to complain about someone being human. I love that you linked to the year-in-review post by 'Agent Kristin', in which she details just how productive she was in 2010 as a literary agent (using actual numbers). That she can blog regularly and bring in lots o' sweet deals is incredible; it's exactly what most people hope agents are doing. Fantastic for her (and her clients)! I think critics speak up when they see agents blogging… but not bringing in the money. Any blogger should be a credible source on the subject about which she's blogging. Especially if she's presenting herself as an expert in a field. So if an agent blogs daily but sells, like, 0 books in 2010, 3 in 2009 and just 2 in 2008 — none of them in the 6-figure range — then you wonder if that agent shouldn't spend more time working on her clients' behalf. And less time blogging. Or at least quit the biz and just focus on what she's good at: social media. An hour a day? I spend more time on your blog than you do, Nathan! Which makes me…weird. David, real writers use STONE tablets, not clay. Steve, why do you care if you're not a writer? I don't think agents should blog, e-mail, snail-mail, telephone, or even talk to people. They should communicate solely by Extra-Sensory Perception. Now I must go and hobnob with all the wrong people. I'd prefer an agent who is social media savvy. I think they have an advantage over socially sequestered agents. "So if an agent blogs daily but sells, like, 0 books in 2010, 3 in 2009 and just 2 in 2008 — none of them in the 6-figure range — then you wonder if that agent shouldn't spend more time working on her clients' behalf. And less time blogging. Or at least quit the biz and just focus on what she's good at: social media." Shoot Jaime. I was hoping it would pass unnoticed. Anon 11:11 is talking about Nathan. I wondered if the counter-attack would take the high road, but I didn't think it would descend to a personal attack. It's not even worth a response. No agent has or ever will build a following like Nathan did. Small characters throw very small stones. It's alright, I just think anon@11:11 missed this part of the post: "There are blogging agents across the career spectrum, from the just-starting-out to the extremely well-established." Okay, not so much a comment post but DUDE, Susan Kaye Quinn, you're mom is AWESOME. Really, go her. You can tell her a random commenter on the interwebs wishes she would get on my granny about "the facebook". It would make sharing photos so much easier! I haven't really read the comments so I don't know if this was said, but I think that agents who blog are doing a major charity to the writing community. Honestly Nathan, without your help and The Sharks, I would only know a glimmer of information about the writing and publishing world. So basically, what I am trying to say is thank you to all blogging agents, past, present, and future, and keep on blogging. Writers need you and I hope that writers will always remain humbly in their debt, not scoffing their attempts to educate the masses. I'm sure that myth is out there but I haven't heard it. If anything, I see blogging as almost a necessity for new agents – to get their name out there and earn the trust of the writing community so they can snag some great manuscripts. Hope you're enjoying your new work! From a former client's perspective: how could it be a bad thing to have 10K sets of eyes, or whatever the stats were at that time, aware of my book? It's networking, plain and simple. My sister's entire occupation centers around marketing using social media. She goes out and signs clients to let her company market them via Facebook, Twitter, blogging, etc. (Or they set it up so the client can do it themselves.) I think people tend to forget that agents aren't blogging and networking out here solely to entertain us, the authors. There's an entire facet of it that has you communicating with others in the business. I agree with your point. For an aspiring author like me, who is living outside the US or UK, being able to know about the business via an agent's blog is a blessing. I wouldn't have known anything about writing or the business side of it had it not for the blogs from people like you, Rachelle Gardner, Kristin Nelson etc who make time writing blog posts to help unpublished author. I find it funny though, because if there are less agent blogging, then someone might complaint and write articles about how agents not using social media to seek up and coming authors and promote their clients. Can't they just make up their mind? Happy to have a civil conversation. That was uncivil. I am amused by the irony of the concept that some people on the internet say that serious agents would not spend time blogging on the internet. ??? We need not do more than giggle at people who criticize illogically. (The security word I have to type on this reply is "boott". As in give them the—-. Life is an endless joke! The agent who said that he prefers to spend his time working on book deals rather than blogging, tweeting, etc. on the Internet has been able to accomplish what very few other agents are able to accomplish these days. He's approached NEW – meaning DEBUT, UNHEARD OF, BRAND NEW – authors, asked them if they would be interested in writing a novel based on their talent alone, and gotten them MAJOR book deals in the HIGH SIX FIGURES, even for literary type novels. In addition to a high six-figure deal for one of his debut authors who wrote a literary type novel, he also negotiated for the dream Editor of that particular author, the Editor that worked on INFINITE JEST. While other agents have been sending out rejections for these types of books and then blogging about how these kinds of books written by BRAND NEW, DEBUT AUTHORS can't easily be sold to publishing houses, he's been repeatedly negotiating these types of deals. Facebook is a place in which everyone gets to be a star, a place where advertising dollars are easily brought in, NOT a six-figure publishing deal for a brand new author. I think the agent being discussed is a genius and people could learn a great deal from him. Huge fan of blogging agents! Such a wealth of information that in the past has been shrouded in mystery. I'm surprised to hear there are people who think otherwise. Go to any writers conference and there's bound to be a workshop on social media. Being media savvy is simply good business sense. I feel more comfortable with agents who engage with writers….whether that's through blogging, writing articles or answering our random questions at writing conferences. Funny, when I glanced at your headline for this post, I thought, "Oh, great, now I need an agent to get my blog published??" I've never considered if an agent is better or worse for blogging. I just figured it was inevitable. Since writers are encouraged to have an internet presence, why not agents? First and foremost, I would like to thank you for taking the time to blog over the years as an agent and now as a writer. I have learned just about everything that I know about the writing industry from you and from people like Janet Reid, Bookends, Betsy Lerner and many others. Second, to the stalwart opposition of blogging, aka anon, I would have to say that many of the so called unknown writers that don't know a query letter from a personal letter have gained an infinitesimal amount of knowledge from these people you say are wasting their time. I understand that there is a flip side to every coin, but I just don't see what tails has to offer over heads this time. To all of the agents that may be reading this, even though I know I am posting late, please don't listen to the critics and keep the knowledge flowing. There are people, like me, that are listening and learning every day. First of all…Social Media is a GREAT way for a wet behind the ears newby agent to get his/her message out. So yes…it could attract those who speak much ado about nothing. But, secondly…any agent who is not engaged actively in Social Media on a daily basis is probably drifting out to literary pastures as they pine to anyone who will listen about the Remington days. Social Media is not only a tool for the promotion of publication, it's becoming the new medium of publication. I like the point you make about social media letting a writer get to know the agent's style. Personally, I wish more agents blogged. It makes it so much easier for me to evaluate whether or not I would want to work with that person. I've been impressed by agents I didn't expect to consider–and the opposite–decided not to submit to agents who would otherwise have been on my list after their blog posts convinced me we weren't a good potential match. So please, agents and editors, blog on! P.S. Thank you very much to those of you who do. M.A.Leslie – Where in my statement did I even once express any "opposition of blogging"? I didn't. Nathan had promised to devote a Blog to countering statements made recently by a young literary agent in an interview published by Forbes, in which that agent said that he doesn't find socializing on the Internet helpful to his work, and I assumed Nathan's Blog today is addressing this. My point is that that agent is doing something for debut authors that most debut authors have stopped even dreaming about as a possibility, and maybe there's value in his approach to agenting. He doesn't even use query letters as his primary way to find brand new authors. He searches the Internet for good writing, and approaches talented authors to see if they have interest in writing a novel, and he's negotiated deals worth $600,000+ in advances for them. (We're talking about brand new, unheard of, debut authors with quirky literary type novels here!) Seems to me he's an incredible agent from which others could learn a great deal. So what if he doesn't blog or tweet? I think it's great that the agent has found success doing what he's doing. Like I said, there's more than one way to be a good agent, whether that's with or without social media. Jaron Lanier: On one level, the Internet has become anti-intellectual because Web 2.0 collectivism has killed the individual voice. It is increasingly disheartening to write about any topic in depth these days, because people will only read what the first link from a search engine directs them to, and that will typically be the collective expression of the Wikipedia. Or, if the issue is contentious, people will congregate into partisan online bubbles in which their views are reinforced. I don’t think a collective voice can be effective for many topics, such as history–and neither can a partisan mob. Collectives have a power to distort history in a way that damages minority viewpoints and calcifies the art of interpretation. Only the quirkiness of considered individual expression can cut through the nonsense of mob–and that is the reason intellectual activity is important. Love that quote, anon@8:13, thanks. Nathan – I love your blog and even though I'm a regular reader I rarely leave comments. This post has driven me to comment because I feel your angst. I, too, am an expert in my field, and like you, I've been blogging about my job for a couple of years. And I, like you, have been singled out as not being passionate about my career choice due to the fact I choose to blog about it. My blog readership has grown and last year I was offered a weekly column in our city's largest newspaper when the editor stumbled upon on my blog and liked what he saw. So to everyone out there wondering if social media works or not – yes, it definitely does. The trick is to keep doing whatever it you do for a living with as much passion as you had for it at the beginning. Do not let blogging get in the way as it is meant to enhance your position, not replace it. As for you, Nathan, your blog is a true gem and is to be treasured by all writers and those interested in the publishing world. Agents who think all blogging agents are not serious about their jobs must suffer from some sort of envy. I am so phenomenally grateful for blogging agents. The industry changes so fast that blogs are just about the only way (except attending expensive conferences) to get the current scoop about how to navigate the treacherous waters of publishing (OK, I'm too tired to come up with an original metaphor!). Anyway, thanks to you, Nathan, and all other agents who blog, and pfffftt to the detractors! Nathan , there is no need to be defensive. Let's face it. You were a great agent and somehow you grew out of it. It happens. Blogging has nothing to do with it. There is lot of churn in the market today and good people are sought after. If a tech site wants your services , it means that somewhere you have left your mark. You don't have to defend yourself. Those "brand new, unheard of, debut authors" are an editor at Forbes, an editor of the literary magazine "n+1", and a Harvard Professor. This may be their first novel published, but they all have credentials which will help sell their work. The agent in question is targeting a specific type of writer. Blogging, facebook, twitter, and emails don't lend themselves to finding that type. There is no right way to be agent. Just as there is no right way to write a novel. If an agent's way of working doesn't suit you, then find one that does. There's no need to bash the ones who don't. My question is what percentage of the current 52% who are more likely to work with a blogging agent have ever worked with an agent before? My hunch is that it's FAR SMALLER a percentage than the 45% who understand it makes no difference. As a fresh face in the writing scene, I know next to nothing about agents and publishing. My love of reading and dreams of becoming a writer have guided my journey. An agent who writes a blog might catch my attention. Give me the chance to learn a few things about the business and get to know an agent I'm interested in. without agent blogs, i wouldn't know nearly as much as i do now. thanks to you, Janet Reid, Colleen Lindsay, Weronika and a host of others, i've learned so much about the pubbing world that i would never have known. so i LOVE blogging agents. It's true, blogging agents are a way to be the proverbial fly on the wall…How would all us aspiring novelists learn about the pub biz without industry peeps yacking about it! Applause is due, I say! Heh. Just saw this on AOL and thought it sounded like something up your alley. The author loves her e-reader, but she loves her books, too. She talks about the personal advantages of both. Honestly, I think it's wonderful that agents blog. When I first hear of an agent, I immediately look to see if they blog. It just seems to go with the territory anymore. If they have time for it, cool. Nathan, you're the reason I began blogging and since discovered, it's the bomb (in a good way). I agree with you Nathan. As a writer, I have learned more about being a writer – or, at least the kind of writer agents want to read – by reading agent blogs. The first thing I do when researching an agent is look to see if they have a website. A blog is even better, because it lets you get to know them a little better, and know whether they are a good fit for your material. A blog for an agent can be looked at as a professional introduction, a filter, and a marketing tool. For whatever reason, people will say bad things about things they don't know much about. Most of the time it's because they are totally ignorant about how the internet works and how much time you need to maintain a decent blog/website. Since they don't know how it works, they think it's hard. Hence, the idea of being a lot of hard work+time spent on it. The same goes for other things people think would be hard to do simply because they can't do it themselves.